Denice Brooks – Women In Jazz Association, Inc.
Denice Brooks-Archon appeared in “Ain’t Misbehavin’” (Charlotte), “Showboat” with Donald O’Connor, The Wiz” (Glenda, understudy), “Porgy and Bess” (Strawberry Woman, Clara). While living abroad in Germany, she appeared in the German adaptations of “Nunsense” (Sister Hubert), “Little Shop of Horrors” (Ronnette) and a show especially written for her, “Ebony and Ivory”, The musical.” Denice performed all musicals in Europe in German. 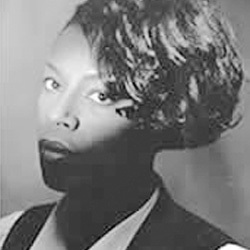 Denice performed on many albums and television programs as a back up singer for artists such as Tina Turner, David Bowie, Luther Vandross, Roy Ayers, Nancy Wilson, Natalie Cole, and Jennifer Rush. Denice was a featured singer on the popular television musical show “Top of the Pops” in London from 1988-1993, with Jennifer Rush. While touring n South Africa, Denice was commissioned to sing at a command performance for Nelson Mandela in 1996, with an estimated crowd of 10,000 in attendance. Denice has toured such places such as Germany, Italy, France, Spain, the Middle East, South Africa, Morocco and England. While traveling in these countries, Denice made quite a name for herself and developed a huge following of fans all over the world. While growing up in Texas, Denice was voted Miss Black Texas, along with winning the “Miss Congeniality” award.